Submission Deadline for the I & I Non-fiction Book Awards is December 31, 2019. 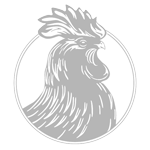 If you are looking for the Chanticleer NON-FICTION Book Awards information, please click here. Boost your discoverability, increase book sales, and grow your readership by winning a writing competition. In today’s crowded book market it is imperative that you find ways to make your book stand out from the rest and sell more — contests are a great place to start! More than $30,000 in cash and prizes awarded annually! And no, you do NOT have to be present to win! But, it is a lot more fun! I recently attended the Mystery Writers of America Sleuthfest Conference in Boca Raton, Florida. Excellent presentations and a great group of talented writers. The agents and editors in attendance (all from well-known publishers and agencies) were not only familiar with Chanticleer Writing Competitions, but they were also clearly impressed that my mystery, Blood on a Blue Moon, is a semi-finalist in the Murder and Mayhem category. Gave me a huge helping of cred and opened more than a few doors. So as it turned out, I was unable to make it out to Bellingham, Washington to attend the 2016 Ozma Awards Ceremony and Chanticleer Author’s Conference (life and stuff got in the way, sadly). As such, I figured that my lack of attendance would negate any chance I had of winning (not being too sure how these types of awards work…). On a whim, I checked out the Chanticleer website tonight and came across this little bit of news: Dark Sea (manuscript) won an OZMA First Place Category ribbon! The First In Category award winners are to receive a complimentary book review from Chanticleer, as well as a bunch of other promotional items. And now I can say that my (as of yet unpublished) novel is an award winner! Priceless. ? Congratulations to Christopher, Elisabeth, Vijay, Raven, Nicole and Murray for their category wins, and especially to Vijay, for also winning the Ozma Grand Prize! Winning and placing in a Chanticleer writing contest will help promote your work and your author platform. Gives you something to post about, something to encourage interactions from followers as they congratulate you and re-share your accomplishments. Win badges for your website, and reviews to add to your book cover design, to help your book stand out when readers are making that all important purchasing decision. Contest submission deadlines help you meet your deadlines for your publishing goals. 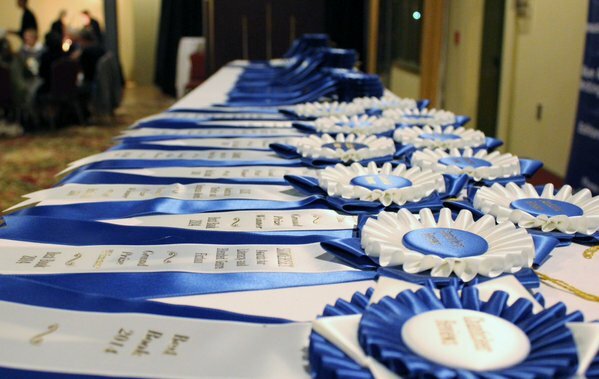 Finalists and winners get active promotion from Chanticleer across our social media platforms and our high traffic website, as well as our mail list of thousands. Join our Chanticleer family – form relationships and bonds with other winners, especially if you attend our Chanticleer Authors Conference and Awards Gala where winners gather from all over the world. I discovered Barn Shadows has been shortlisted in the Chanticleer Paranormal Book Awards! It was a thrilling boost to learn that my little book made it through the slush pile and onto the shortlist. Even if it doesn’t win first place (the winner will be announced on April 21st), the fact that it made it onto the shortlist of twelve books provided me with much-needed validation. Additionally, letting potential readers know that a book has been nominated gives an author something new to promote and might encourage readers to choose one book over another. With over 2,000,000 books published each year, every advantage counts…These awards do more than just boost an author’s ego. They provide validation, encouragement, recognition, and differentiation in an industry that is so often full of negativity and rejection. I encourage other indie authors to enter their books in whatever writing competition is appropriate for them. Winning a book award is an effective way to distinguish your work in the eyes of readers, agents, and publishers. Enter today for your chance to add a book award to your marketing toolkit. Your book could be a winner! Book Awards help your book get discovered! Boost discovery and boost your sales. We want to see authors succeed and sell more books. Plus, you can win cash and prizes! Approximately $30,000 in cash, prizes, and promotions! The Fine Print. & Projected announcement dates. Prizes may also include donations from contest sponsors. 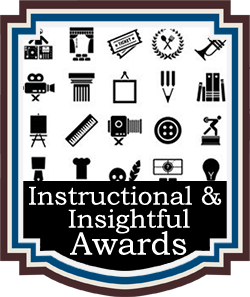 Non-Fiction Awards for How-To, Self-Help, Instruction, and Insight. You could be an award winning author. Now that is something to CROW about! For more information, please visit our Prizes page. We invite you to read our Terms and Conditions and Submission Guidelines. As always, please do not hesitate to contact us with any questions, concerns, or suggestions at Info@ChantiReviews.com. We promise to reply — it may take a few days, but we will reply!